One group is arguing that Amendment 13 could lead to a ban on sport fishing. The Florida Supreme Court disagrees. The most contentious issue of the 2018 election cycle in Florida may have nothing to do with Republican versus Democrat. The battle for Constitutional Amendment 13, which would ban gambling on commercial dog racing in Florida by 2020, has gotten ugly. At issue is not dog racing itself, but a phrase in the preamble to the proposed amendment that says, "The humane treatment of animals is a fundamental value of the people of the State of Florida." A coalition of Florida groups — including the Florida Farm Bureau, National Rifle Association and Florida Cattlemen's Association — opposes the ballot measure because it includes language that they say could lead extreme animal rights groups to sue under the amendment to ban any practice that is not deemed sufficiently humane. The way the "No on 13" group sees it, cattle slaughter, hunting or fishing could be on the chopping block. But a recent Florida Supreme Court ruling says the "fundamental value" clause lacks "independent legal effect." "Amendment 13's fundamental value provision is devoid of any legislative or judicial mandate: it bestows no rights, imposes no duties, and does not empower the Legislature to take any action," the Court wrote in a six to one ruling on Sept. 7. The main group in favor of Amendment 13 says its opposition's argument about the preamble is an example of "the worst of modern politics." 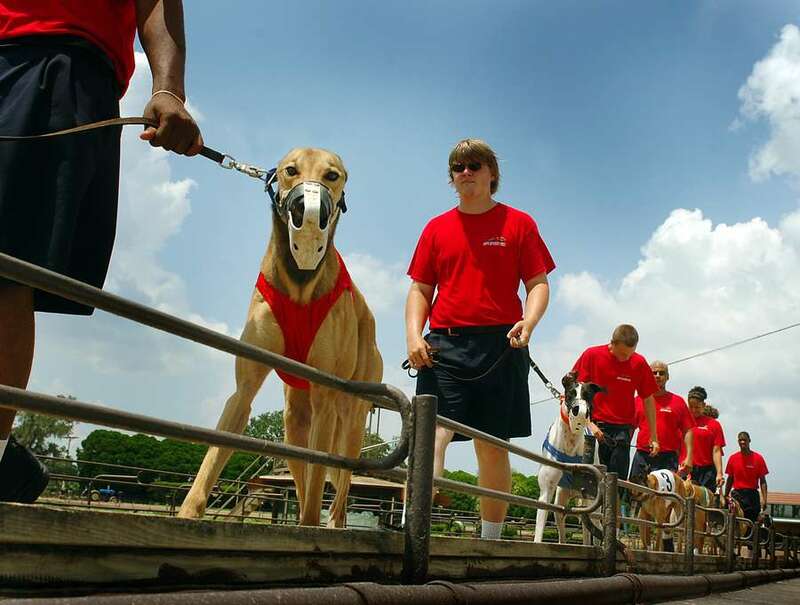 "There's no doubt in my mind that they have gone and done polling and the Florida Greyhound Association has the same data we have, which shows that the greyhound issue is a loser for them," said Carey Thiel, a senior adviser to the Yes on 13 campaign. "So they're trying to make Amendment 13 about a bunch of stuff that Amendment 13 is not about." This particular "No on 13" group — which does not include the Florida Greyhound Association — contends that the ruling doesn't stop a future court from ruling a different way. "I don't trust judges," said conservative attorney John Stemberger, who opposes Amendment 13. Earlier this year, Stemberger served as one of the 37 members of the Florida Constitution Revision Commission. The CRC, a one-of-a-kind body which meets every 20 years to discuss new amendments to the Florida Constitution, added the dog racing proposal to this year's ballot — as well as seven others. (One of the CRC's proposals was stricken from the ballot by the Florida Supreme Court.) The proposal will need to garner the support of 60 percent of Florida voters in order to become part of the state constitution. Thiel said the likelihood of a future court ruling that the "fundamental value" clause has legal weight "is as likely as martians landing tomorrow." But some Florida farmers still say they're concerned. Liz Steele, a veterinarian from Zolfo Springs who is a member of the Florida Cattleman's Association, said she's voting "no" because of the clause. "I feel like the (animal rights) extremists are drooling at the opportunity to have this vague statement in the Constitution," Steele said. "Shame on these groups that are using greyhound racing to hide their true agenda." Proponents of Amendment 13 argue that a similar sentence, "Inhumane treatment of animals is a concern of Florida citizens" is already in the Florida Constitution — and no extremists have been able to take advantage of it. Marty Irby, a self-described "hard-core conservative" and the executive director of Animal Wellness Action, which has heavily supported Yes on 13, said the "No on 13" group is making the language case because it's "run out of rational arguments." "I would never support a ballot measure that was deceptively trying to ban hunting or fishing," said Irby. "It's a gutter tactic for the other side to make up this fantasy argument."